When you think of Italian weddings, don’t you envision a large reception hall crowded with boisterous and fun people…laughing, dancing, and celebrating the newlyweds? Food and drinks everywhere, of course. Exactly like what we all witnessed when watching My Big Fat Greek Wedding. The Italians and Greeks really know how to have fun and celebrate important events! 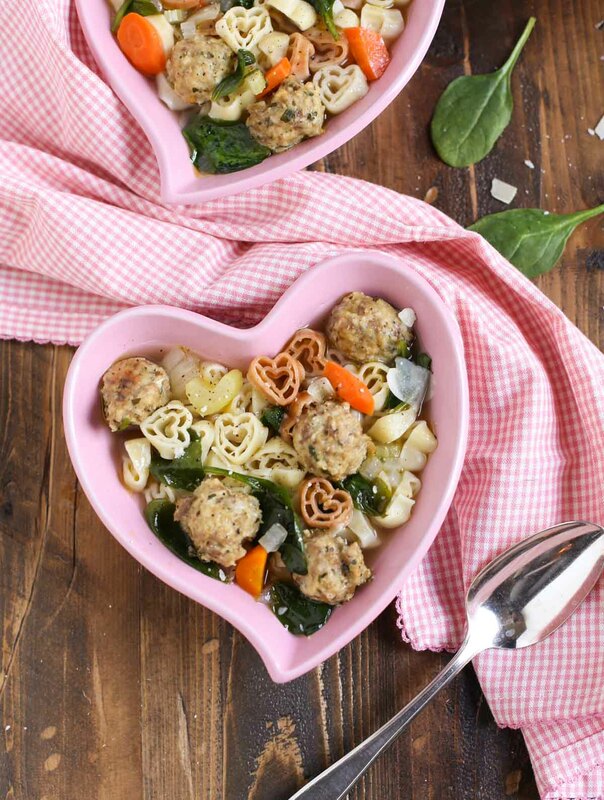 The actual term “wedding soup” comes from the Italian language phrase “minestra maritata” (“married soup”), which is a reference to the flavor produced by the combination or “marriage” of the greens and the meat. 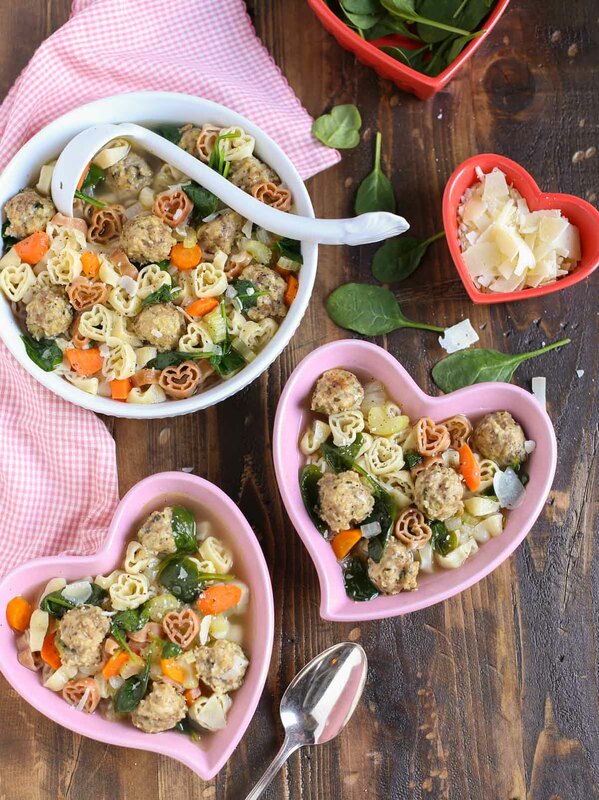 I’ve wanted to make a version of the infamous Italian Wedding Soup for years. 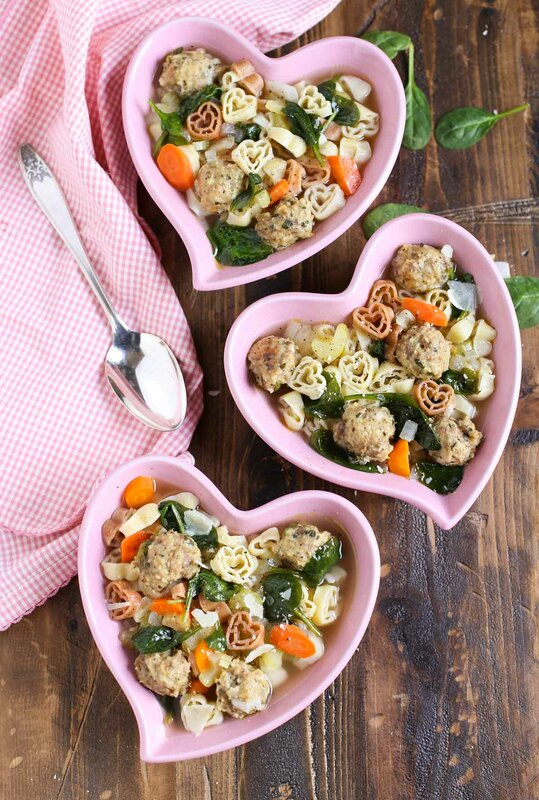 I love the combination of a light clear broth with fresh vegetables and meat or meatballs. Traditionally the soup contains green vegetables, like endive, spinach, escarole, kale, cabbage, etc.…but adding some diced carrots really adds a touch of color, sweetness and prettiness. 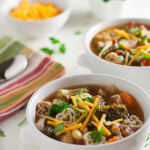 It is a “wedding” soup after all! There are two other important elements to this soup…meat and pasta. I prefer making small 1” meatballs with chicken and chicken or pork sausage. The size is perfect and also keeps this soup on the lighter side. Using a small meatball or melon ball scoop helps too. And usually pasta is featured as well…orzo, or some sort of pastina (small pasta). 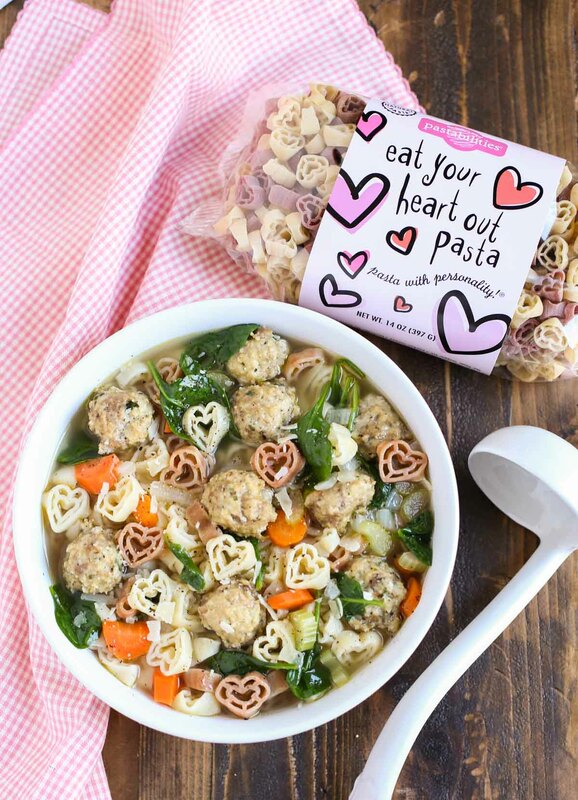 There are a ton of recipes out there, but none feature “Heart Pasta”, which of course is the most natural choice for this style of soup. Eating out on Valentine’s night always seems forced and often expensive and disappointing. 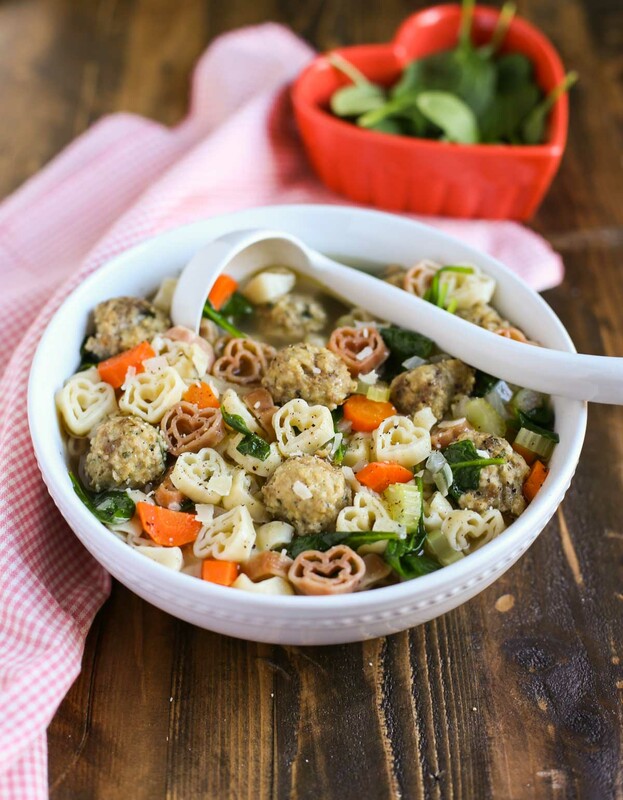 Italian Wedding Soup is simple to make and a wonderful comfort food for this time of year. So I’m encouraging you to “Eat In” and “Eat Your Heart Out”! 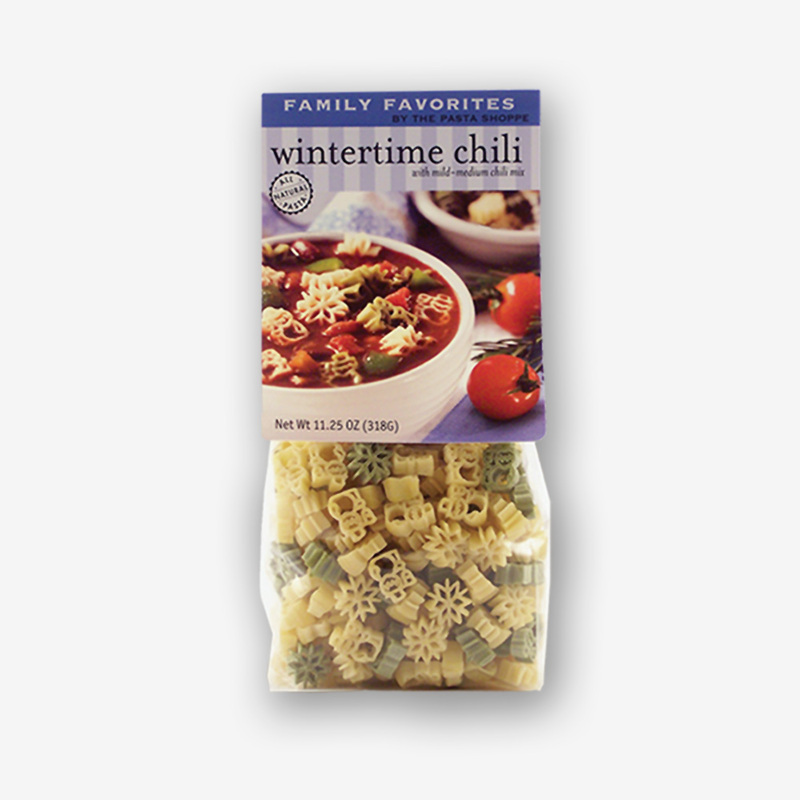 Make this soup or a pasta dish you know your family or sweetheart will love. Some other good choices are my Quick Cioppino with Heart Pasta, or even our simple Classic Marinara Sauce. Friends, have a heart-warming Valentine’s week! 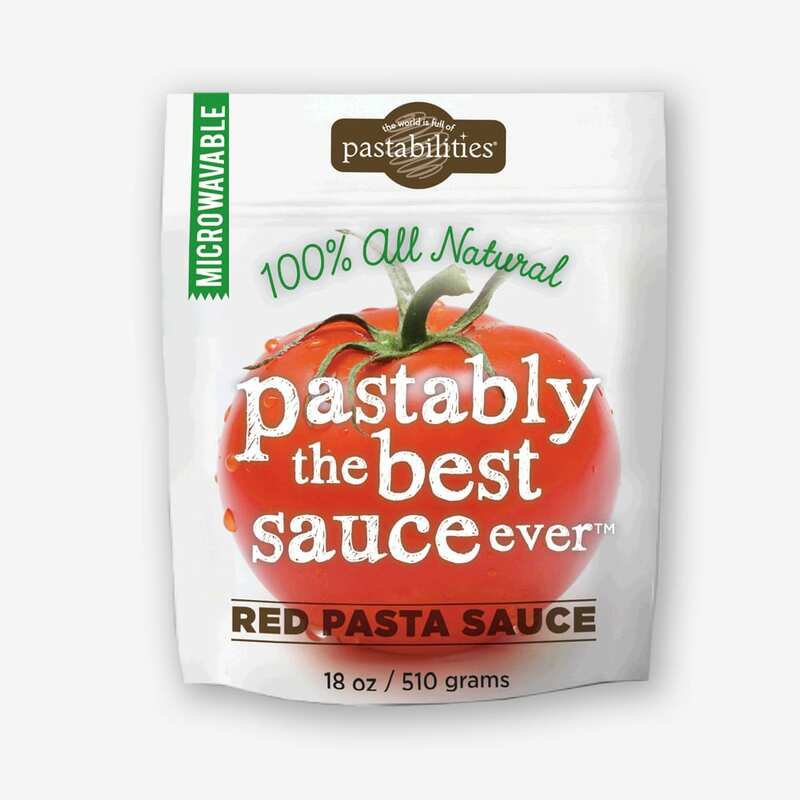 And follow me on Instagram (@worldofpastabilities) to keep up with more of our Pasta adventures! 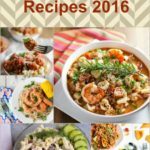 Light and delicious soup for any time of the year! 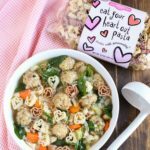 The Chicken and Sausage meatballs are full of flavor and the small size makes them perfect for a soup! Enjoy! For the meatballs: Place all ingredients in a medium size bowl. Gently combine with a fork or your hands (I use disposable gloves). 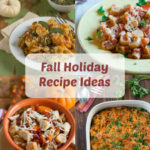 Using a small melon ball scoop or a teaspoon, drop meatballs on a sheet pan lined with parchment, or sprayed with Pam/oil. Bake for about 20-25 minutes, until cooked thoroughly and the meatballs begin to brown. 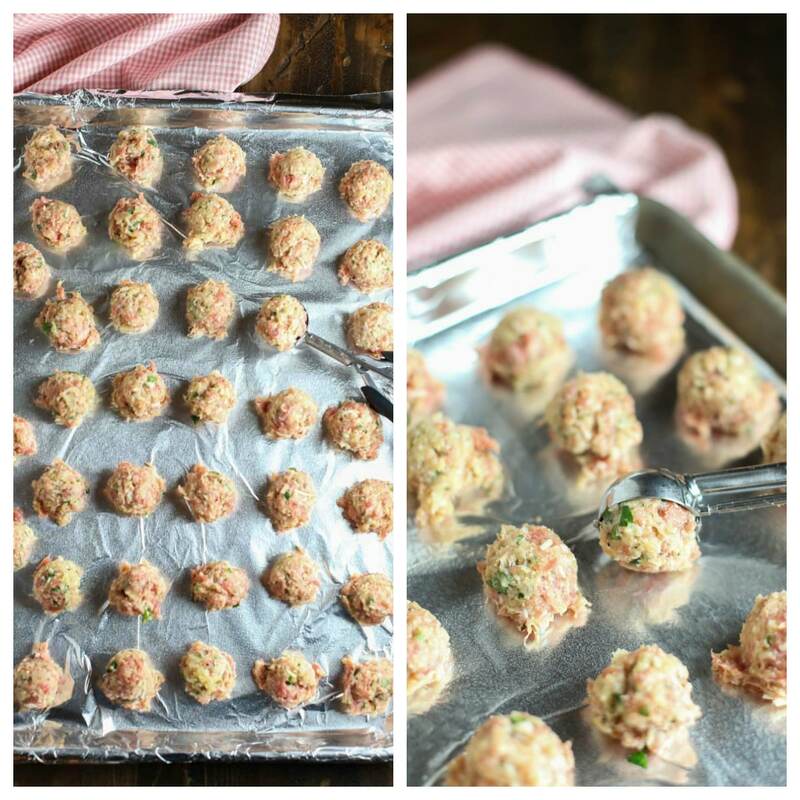 Remove from oven and set meatballs aside. While meatballs are cooking, heat olive oil to medium low in a large soup pot. Saute the onion, carrots, and celery until softened and onions are translucent, approximately 5-6 minutes. Add the chicken broth and wine. Bring to a boil. Add the pasta to the broth and gently simmer for 6-7 minutes until pasta is al dente. (I actually cook my pasta separately, and add it in with the meatballs). Add meatballs to soup and simmer for a minute. Taste and adjust seasoning. 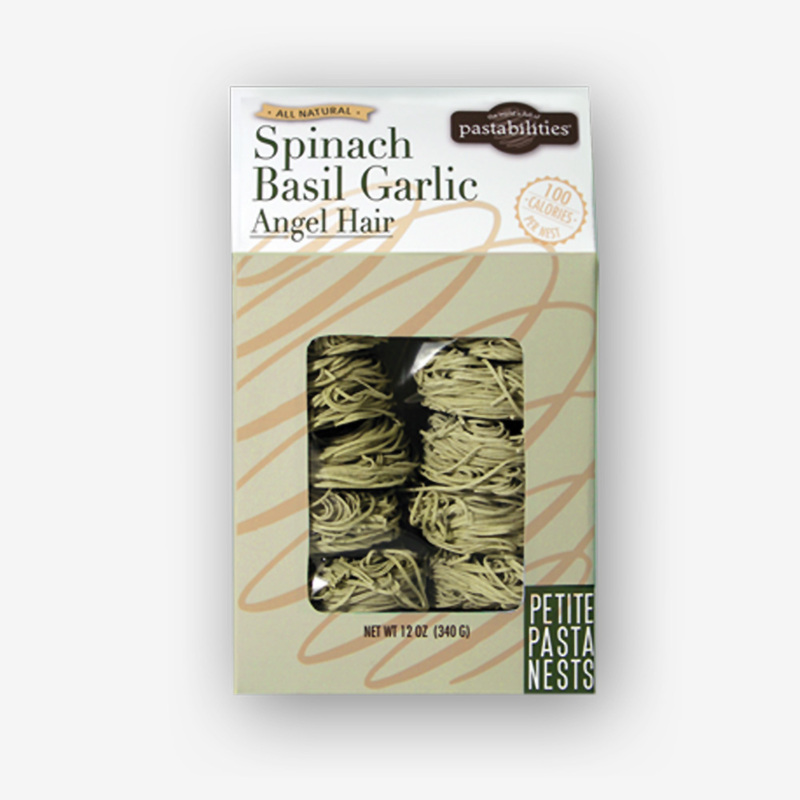 Stir in the fresh spinach or greens of choice, until they begin to wilt. Ladle into soup bowls and top with additional fresh Parmesan! Enjoy! Filed Under: Blog, Holiday Entertaining, Meat & Poultry, Misc. Fun! 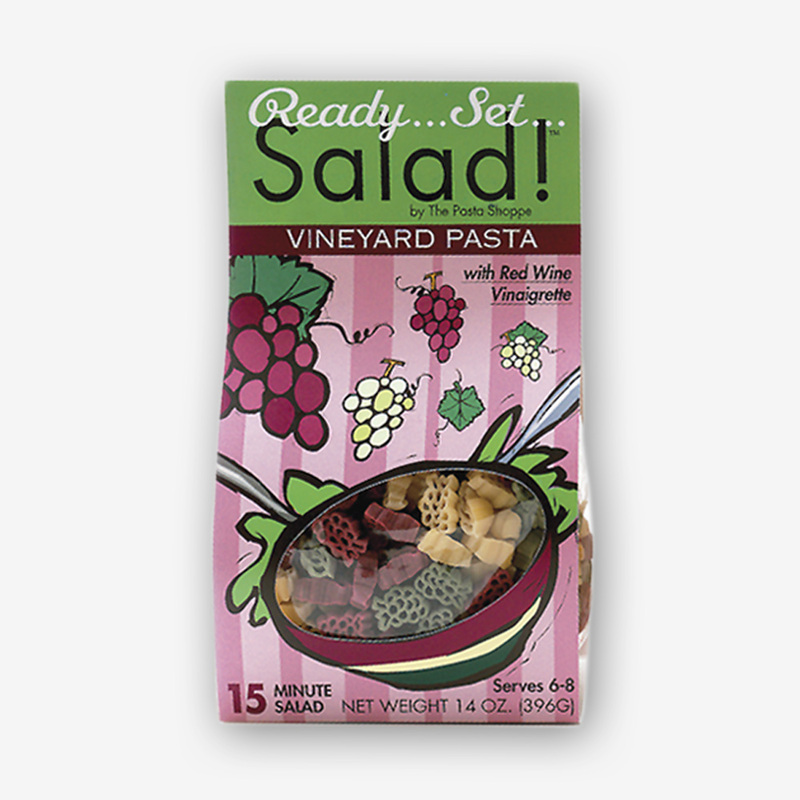 « Pasta’s Pasta Primavera with Chicken – Go Boston Bruins!